New development. Enjoy the beauty of this high spec FURNISHED luxury open plan living located on 2nd floor. This property contains two bedrooms, 2 x bathrooms and a river view balcony. 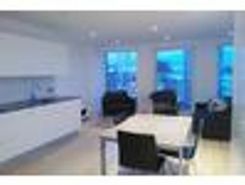 We are pleased to offer this modern, open and airy TWO double bedroom/TWO bathroom 5th floor apartment. Offered partly furnished with integrated kitchen appliances. Double door storage cupboards. 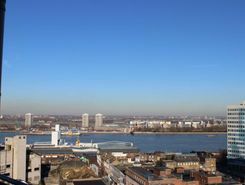 Views facing towards London and Kent.Moments walk from Woolwich Town Centre and Woolwich DLR. 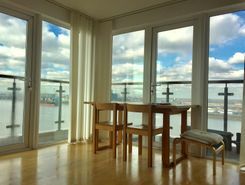 A SPECTACULAR 3 DOUBLE BEDROOM 10TH FLOOR PENTHOUSE, STUNNING VIEWS OVER THE RIVER THAMES, BALCONY, SITUATED IN THE HEART OF WOOLWICH TOWN CENTRE, WITHIN MINUTES WALK TO DLR & MAINLINE STATIONS, FULLY FURNISHED, AVAILABLE IMMEDIA, EARLY VIEWING RECOMMENDED!NO SHARERS. A 2 BEDROOM END OF TERRACE PERIOD STYLE HOUSE , PROPERTY SET OVER 3 FLOORS AND HAS BAGS OF CHARACTER!WALKING DISTANCE TO WOOLWICH RAIL STATION AND DLR, NOT SUITABLE FOR SMALL CHILDREN. VIEWING HIGHLY RECOMMENDED!AVAILABLE NOW! TheHouseShop have been helping people to save money when buying, selling, renting and letting property in Woolwich in Greater London thanks to their unique property marketplace and expert knowledge of the Woolwich in Greater London property market. Property marketplace, TheHouseShop.com, showcases property listings from private landlords, private sellers, high street agents, online agents and developers – meaning that tenants and buyers can find a unique selection of property from both professionals and homeowners. Estate agents, private sellers and private landlords can advertise all their properties on TheHouseShop's marketplace and reach the tens of thousands of home hunters visiting the site each day looking for property for sale and to rent in Woolwich in Greater London. Homeowners can choose from a number of marketing add-ons to boost their property advert and sell or let their property faster. Thousands of Woolwich in Greater London landlords are using TheHouseShop's free tenant-find service to advertise their rental properties to tens of thousands of renters. 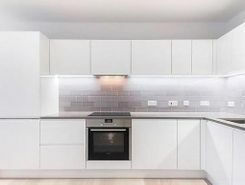 TheHouseShop showcases a range of houses and homes to rent in Woolwich in Greater London including, flats, apartments, maisonettes, and bungalows, giving tenants a unique selection of rental property from professional agents and individual homeowners. Tens of thousands of tenants visit TheHouseShop to find cheap property to rent in Woolwich in Greater London's most popular locations and can tailor their search to suit their preferred location, style of property and weekly or monthly rent budget. TheHouseShop has a selection of Woolwich in Greater London properties available to rent direct from private landlords including DSS rental property, landlords accepting pets, studio apartments, 2 bed apartments, 3 and 4 bed houses and more. TheHouseShop carries unique property to rent direct from private landlords, so tenants can find rental homes that they won't find on other big property websites. 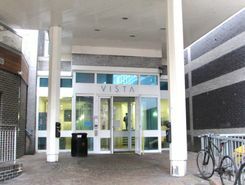 Home hunters who rent property direct from a landlord can save on administration fees and get ahead in the competitive Woolwich in Greater London rental market. 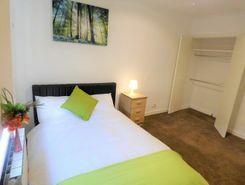 People searching for affordable rooms to rent in Woolwich in Greater London can find cheap rental options in TheHouseShop's Flat Share section. 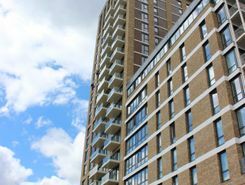 Tenants looking for cheap rentals in Woolwich in Greater London's most popular areas should consider a Flat Share instead of renting out a whole property. Securing a rental property in Woolwich in Greater London can be difficult, but TheHouseShop can help tenants with our Guarantor Service providing a UK-based guarantor for any rental property in the UK. Landlords can use our free online rental calculator to determine the perfect price for their Woolwich in Greater London rental property. Private landlords using TheHouseShop are given access to a number of landlord services including tenant referencing checks, rent collection, online tenancy agreements, landlord insurance and more - on top of advertising all their rental properties free of charge. TheHouseShop.com tenant referencing service is a fast and effective way for landlords to screen tenants and perform rental credit checks, background checks, affordability calculations and more during the rental application process. Home hunters using TheHouseShop can create a free property alert to stay up to date with the latest new rental properties in Woolwich in Greater London matching their needs with instant email updates. 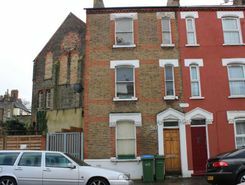 Property investors and private landlords can search thousands of cheap Buy To Let investment properties from house builders, estate agents and private sellers throughout Woolwich in Greater London on TheHouseshop.com.